2016 Brazilian Tour – 10 Sold Out Concerts! In August of 2016 Carla Maffioletti and the Camerata Ontoarte Recanto Maestro successfully accomplished the second Brazilian Concert tour. 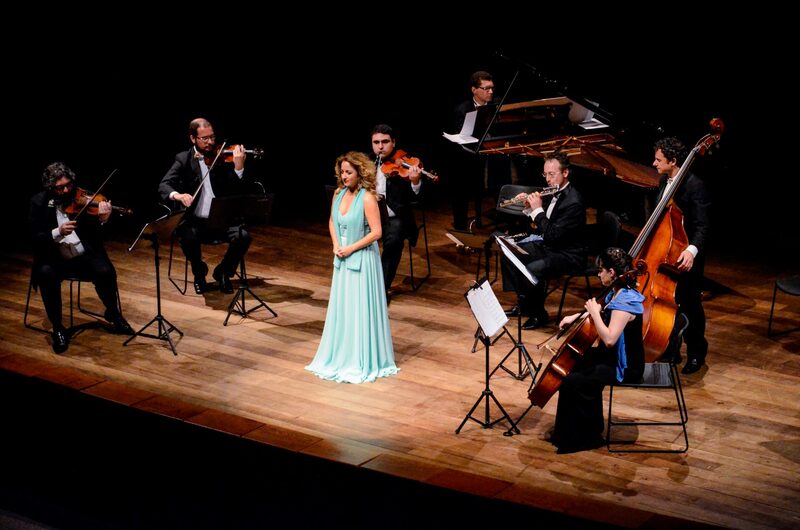 The ensemble under the artistic direction of Cláudio Carrara performed the music of Vagner Cunha over poems oF Antonio Meneghetti written specially for the soprano. The second CD and brand new repertoire was recorded by the label Bellanima to be released in 2017 worldwide. The serie of concerts were greatly acclaim by the towns of São Paulo, Porto Alegre, Curitiba, Florianópolis and São João do Polêsine. The first CD of Camerata Ontoarte and Carla Maffioletti was released in 2014. FLORIANÓPOLIS, SANTA CATARINA, BRASIL – 31 de agosto de 2016 – ESPETÁCULO. Concertos Didáticos Camerata OntoArte Recanto Maestro. Teatro Pedro Ivo.